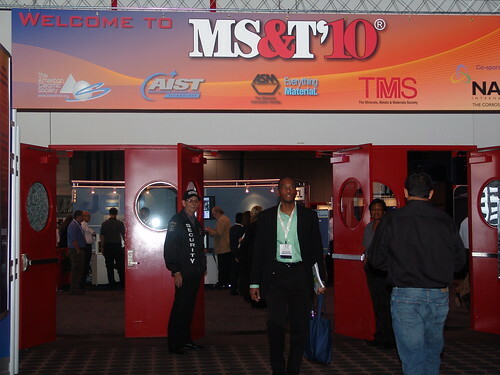 Between October 17 and October 21, 2010, I attended the Materials Science & Technology 2010 Conference & Exhibition (MS&T'10), held in Houston, Texas. Before the Conference, I visited the University of California, San Francisco. The aim of my visit was to discuss cooperation possibilities. 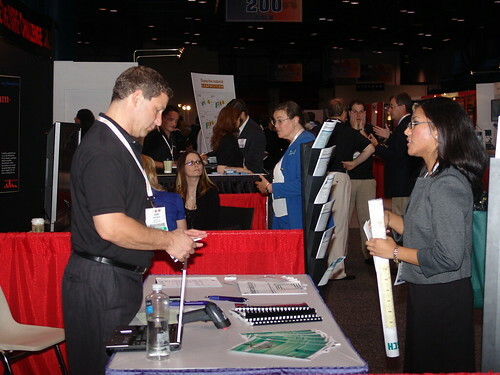 Apart from the above-mentioned symposia, the Conference also featured sessions dedicated to special topics (Materials and Society, awards for technical achievements, Perspectives for Emerging Materials Professionals: Early Strategies for Career Development, etc.). The conference also included ten lectures that bore the names of scientists like Arthur L. Friedberg, Edward Orton Jr., Robert B. Sossman, Rustum Roy, Richard Spriggs, Merton C. Flemings, Richard M. Fulrath, etc. 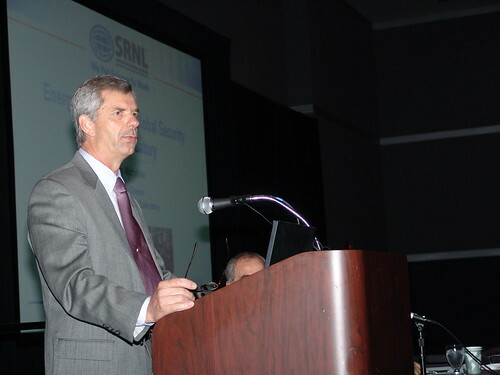 The first plenary lecture was dedicated to global issues like energy, infrastructure, policy and safety. 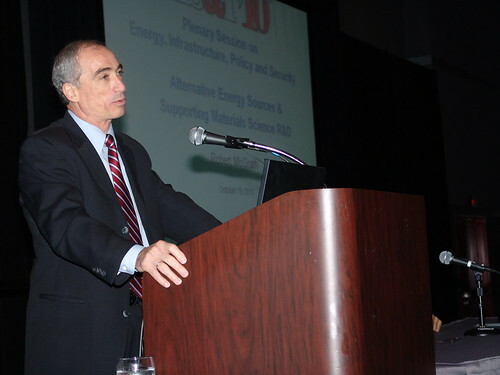 It included three lectures given by Terry Michalske (Energy, Climate and Global Security in the 21st Century), Director of the Savannah River National Laboratory, Robert T. McGrath (Alternative Energy Sources for Reducing Dependence on Fossil Fuels), who occupied various positions in national laboratories, government organizations and universities, and Diran Apelian (Linking Transformational Materials and Processing for an Energy Efficient and Low Carbon Economy: Creating the Vision and Accelerating Realization, http://energy.tms.org/docs/pdfs/VisionReport2010.pdf), a Howmet Professor of Engineering and Director of the Metal Processing Institute at Worcester Polytechnic Institute (WPI). 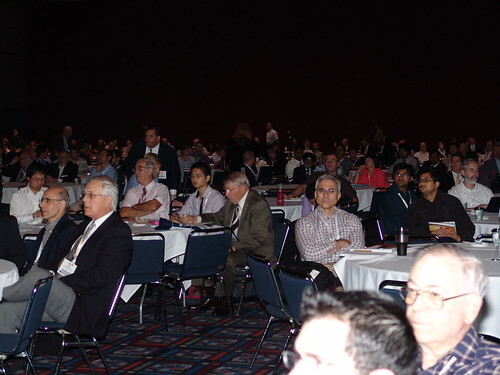 This interesting plenary session presented significant body of information on recent scientific achievements. Energy appears to be a research field that may need a significant contribution by materials science in dealing with its key issues. 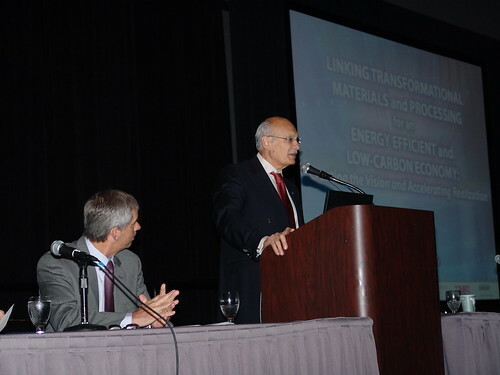 A similar session dedicated to advanced materials and nanotechnology was held on October 20. 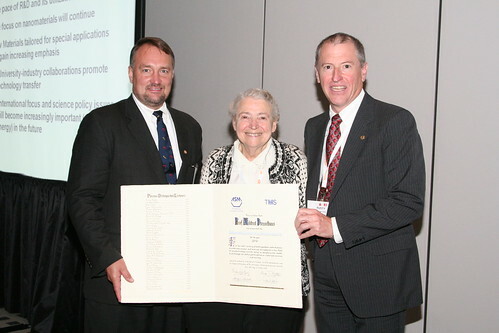 I would particularly like to draw attention to the lecture given by Mildred Dresselhaus of MIT University, in which she focused on carbon materials and graphene, for the study of which Geim and Novoselov, British-based Russian scientists, were awarded the 2010 Nobel Prize in Physics. She also dwelt on thermoelectric materials, which are obviously a priority research issue. 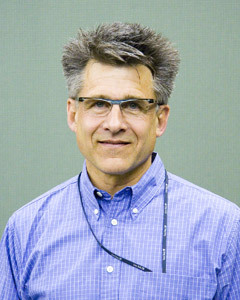 The ACerS Robert B. Sossman Memorial Lecture titled Directing Sol-Gel Processing with Proteins and Living Cells was given by C. Jeffrey Brinker of The University of New Mexico, The UNM Cancer Research and Treatment Center, and Sandia National Laboratories. In the initial stages of his career, C. Jeffrey Brinker was focused on conventional sol-gel processing. 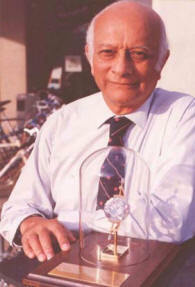 A shift towards biosystems considerably broadened his research field, which resulted in significant results in biomedical sciences. Within the ELECTRONIC AND MAGNETIC MATERIALS section, I chaired the session on Dielectric Ceramic Materials and Electronic Devices and gave an invited lecture on Multi-scale Molecular Designing of Nanoparticles and Functional Materials, which aroused significant interest. The interest in this topic is best reflected in the fact that in the past several years the presentations featured within this symposium have had the most prominent place in the MS&T Conference proceedings, published in the Ceramic Transactions series (currently under the auspices of Wiley Blackwell). 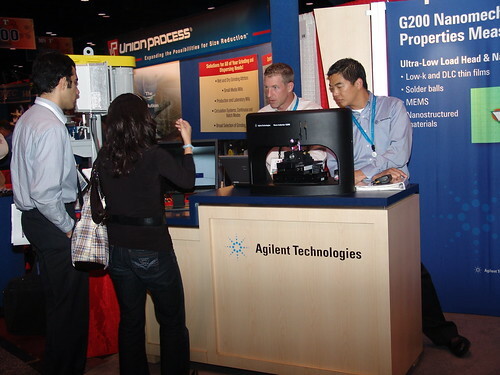 I also attended presentations within other symposia (nanomaterials, biomaterials). The comparison between the results presented at the MS&T’10 Conference and the research carried out at the Institute of Technical Sciences of SASA leads to the conclusion that our research is highly topical. The organizational model presented at the MS&T conferences, including four professional societies, could be successfully applied in Serbia. Only in September 2010 there were three conferences on materials science, two of which were supported by the Ministry of Science and Technological Development of the Republic of Serbia. It would be much better if all these conference were held at the same place, gathering 400-500 participants. Immediately before the Conference, I visited the University of California, San Francisco, where I had the opportunity to meet representatives of several institutions and discuss possibilities for joint research (during 2010 three research articles were published in collaboration with the University of California, San Francisco), and the choice of plenary lecturers for the YUCOMAT 2011 Conference, to be held in Herceg Novi next September.